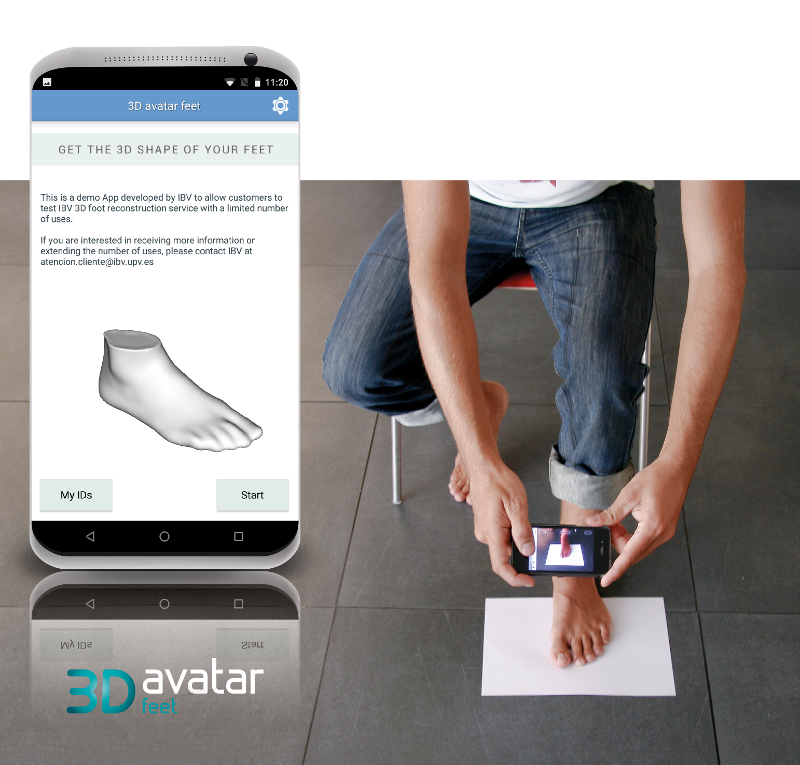 The mobile app 3D Avatar Feet has been designed to be used easily from anywhere. The input data consists of three images of the foot on top of a standard sheet (DINA4 or letter). Each photograph must be taken from a different point of view; zenithal, medial and lateral views. 3D Avatar. Feet/IBV sends the images to the cloud where all the processing takes place in less than 1 minute, returning the foot in 3D and more than 20 measurements. Can you imagine all your clients having a scanner in their pocket? A complete and functional App customized to your needs. A set of APIs for Android and IOS for a fully integration into your platform. Test the app with a limited number of uses. Test the app with an unlimited number of scans.